In my first two blogs about HP Agile Manager (HP AM in the following) I provided some facts about the upcoming product. This blog elaborates on impressions, use scenarios and outlook. Let me start with the summary first. Wow, this is the type of product that was expected by many HP customers who work the agile way! It took HP quite some time to deliver a product on the agile premise. Now, agile practitioners can use the browser of their choice and are no longer stuck with the Internet Explorer, which is still required to run HP QC/ALM. For IT departments in large organizations this product will be a big relief and cost saver, as they don’t have to care about installations and needed permissions any longer. No ActiveX components like in QC are required to run the UI. It simply runs anywhere without any download. I did state “will”, because currently the product isn’t delivered at all to IT organizations. The only way to get it is through a SaaS service from HP. While this is an excellent opportunity for companies who are allowed to store data outside of the company network, this is a killer argument for companies who aren’t allowed to do so. From my experience specifically European companies will have some issues here. And this is not just because of intellectual property stored elsewhere. It also has to do with the fact that HP SaaS is typically located in the US. Network latency issue often have an impact on service availability. From a usability perspective HP AM is certainly great for young generation employees who are used to web interfaces. IT veterans still have their way to go learning new navigation aspects of such a web application. For a “1.0 release” HP AM delivers a rich set of functionality for agile development. With its hierarchical concepts of themes, features, users stories and tasks large development projects and programs can utilize this product for agile development. And this is not a surprise, as the concepts for HP AM stem from one of HP’s internal development organization with a long experience in agile development. HP utilizes internally a lab prototype product which was presented at several events already. See last paragraph on blog New Opportunities for QM. Therefore, customers have good reasons to assume, that this product is practice oriented and delivers value to agile development organizations. However, utilizing HP AM to its full potential may be a challenge for organizations just starting with agile. E.g. Estimation, planning and tracking features require corresponding practices at the organization level. Looking at the competition, HP has to accept that in the second decade of agile development there are already market leaders established. With Rally Software and VersionOne among the most successful. So, how can HP win? Well, HP has a great software portfolio and specifically well established test management solutions. 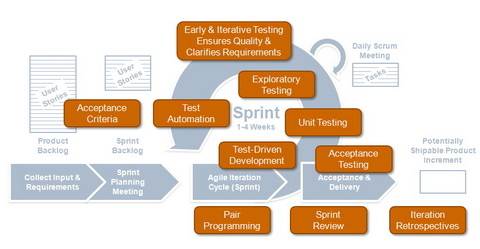 An integrated test management approach is critical for success in agile development. HP AM can hardly win as a standalone solution, but tight integration with other HP offerings will transform HP AM into a killer app. It will be interesting to see how fast HP is able to leverage other HP Software solutions. HP announced already a synchronization tool between customers HP QC/ALM instances and the HP SaaS solution that will allow to synchronize data. However, it seems that data is only partially synchronized. Within the HP AM product Q&A customers already stated, that this is not what they expect. They want to have all data synchronized. Why? Well, there are several reasons. Customers who already have deployed QC/ALM often have build a lot of project management support processes around this tool infrastructure. Reporting, analytics and data warehouse applications are often well established. It is understandable, that they need to have all data in one place. This is specifically true for organizations who do hybrid development: Agile and non-agile. Next week on Discover 2012 in Frankfurt existing HP Customers will have a chance to experience HP Agile Manager live. And there will be opportunities to exchange ideas and experiences with other practitioners. For example the Vivit TQA roundtable on agile development. HP AM is a late start, but good start. Stay tuned. This entry was posted in agile and tagged agile, agile manager, ALM, hp agile manager on 30/11/2012 by Gerald Heller. This blog provides first impressions about the beta functionality of HP Agile Manager (HP AM). It’s not meant to cover all functionality. User Stories are the de facto standard in agile development. Tools simply have to support them and so does HP AM. A user story consists of a name, a description and may have some time tracking associated. Initially a user story may only consist of a name and a sentence statement. At later stages in the development process a user story may get more information and tasks associated which are needed to complete the user story. 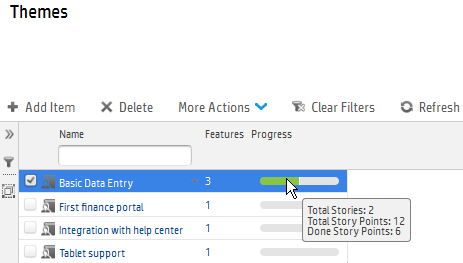 In HP AM tasks can be attached to user stories initially or whenever more details are available. 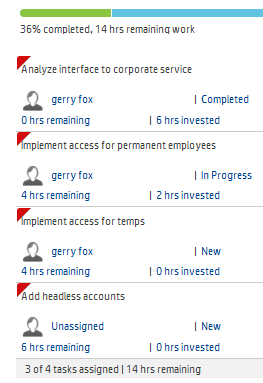 The nice thing is, that detailed task information is aggregated automatically in HP AM. E.g. All estimations of tasks are summed up and presented at the user story level. This does not only apply for estimates but also for time already spent on the user story. The task board represents a good practice of most agile projects. Visual representation of project status and progress is made transparent to all team members. Work items (tasks), flow from left to right according to their completion state. A developer can simple drag a task from status New to In Progress to indicate, that he is working on it. Once all tasks of a user story are completed, the user story is automatically marked done. User stories can be added to the product backlog and from there subsequently associated to a specific release and sprint. These three backlog types can be managed separately in HP AM and will provide different levels of granularity. All these backlog types can be arranged in spreadsheet fashion with free selection and positioning of attributes. The following screenshot is an example of the release backlog. Defects, that arrive during the course of development and testing can be added to the backlog as well. That all works fine and represents basic agile support, but for larger projects it is barely sufficient. You need elements that guide development beyond the current development iteration. For planning in the large HP AM offers the concepts Themes and Features. A Theme represents a goal for a product release. A release may have one or more themes, but having more than five would be counterproductive. Themes guide a release and help to stay focused when too many requests arrive. Does a new request fit into a release theme? Yes! Add it to the release backlog. No, thanks, add it to the product backlog, consider it for a subsequent release. Features are widely used in the IT industry, yet they lack a common definition. The Software Engineering Institute at Carnegie Mellon defines it as „a prominent or distinctive user visible aspect, quality or characteristic of a software system or systems“. User stories can be attached to features, so that product management gets visibility into the product development progress. Progress is typically managed by development at the user story and task level, and that might not be the best form to understand the overall status. The next screenshot displays interrelationships between themes, features and user story and how HP AM shows progress based on Stories. I did not have a look at the ALI Dev integration. That will be left for later. As a last note I will mention the advanced feature that allows linking of items. User stories can be linked to defects. As long the corresponding defect isn’t fixed the user story cannot be set to Done. This represents good agile practices. I will close here mentioning, that this type of relationship management is a strength of classical requirements management. HP QC has good requirements management functionalities and this was mapped to the HP AM. In my next blog I will set the current offering into context and speculate about the future. This entry was posted in agile and tagged agile, agile manager, hp agile manager, requirements management on 28/11/2012 by Gerald Heller. On October 17, 2012 HP announced public Beta for its upcoming product HP Agile Manager (referenced as HP AM in the following). The Beta program will run until end of November and is a continuation of the private Beta which started in summer 2012 with selected customers. HP AM is a fully web based solution to plan and execute agile projects. This SaaS solution provides integration capabilities into build and development environments. Using HP AM agile development team members and manager have instant access to project progress and rich possibilities for planning and analytics within agile development programs. HP AM represents a major step in HPs agile offerings within the application lifecycle management ecosystem. 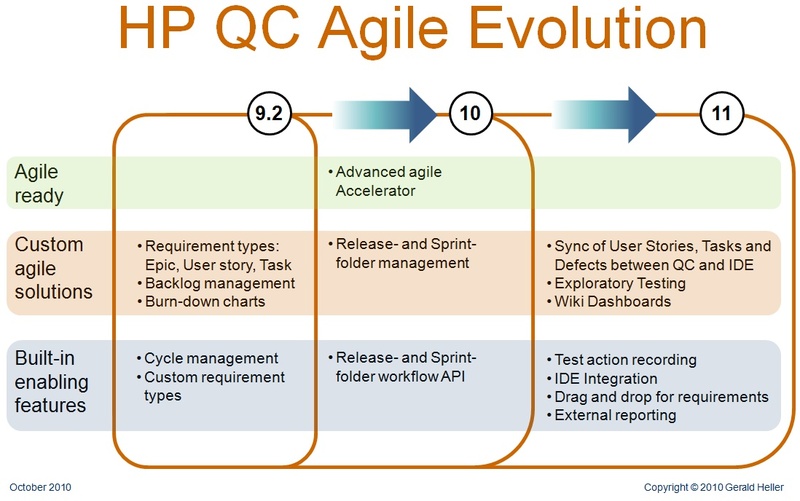 While HP QC already has enabling features for agile development since 2008 there is not a dedicated product available that focuses solely on agile development. As of today two add-on components are offered for agile development: The HP Agile Accelerator and Application Lifecycle Integration (ALI). The Agile Accelerator delivers a specific customization for QC Enterprise or ALM, so that agile teams can start working in QC right away. With ALI HP offers QC users an integration into development and build environments. HP AM can be used alone, or in combination with other offerings. For the HP QC/ALM community it will be of specific interest to understand how HP leverages its existing environment in combination with the new offering. In my next blog I will provide a closer look at the beta functionalities of HP AM. This entry was posted in agile, ALM, hp quality center and tagged agile, agile manager, ALM, hp agile manager on 24/11/2012 by Gerald Heller. On September 20, 2011 Dr. Andreas Birk and Gerald Heller provided some insights about the opportunities and challenges for testing in agile development organizations at an event at HP Switzerland. E.g. Setting up test environments in more complex project contexts might require so much time, that parallel system testing within the development cycle cannot be established. In such situations a testing team needs to find an alternative solution together with the development team, so that the goals of testing can be achieved. However the top challenges are found where roles and competencies are touched. For example: joint estimation for user stories sounds good, but often testers don’t even participate in sprint planning meetings. And if so, they aren’t allowed to add testing effort to the size of the story. Becoming a full member of the team requires often needs time, where active change management and coaching continuously must address those topics. The full presentation is available on request. Peter Vollmer from Hewlett-Packard’s development organization provided interesting insight how HP addresses these challenges in its global agile development context. In particular HP not only uses HP Quality Center, but also the HP Accelerator for agile planning and status tracking. His presentation is available on request. This entry was posted in agile, ALM, hp quality center and tagged agile, agile accelerator, hp quality center, qm, testing on 23/09/2011 by Gerald Heller. Recently, I provided an agile perspective on the Vivit TQA Webcast “New Features of HP Quality Center and Product Roadmap” by Raziel Tabib. The webcast was focusing on version 11 of QC. I got feedback, that existing customers of QC wonder how QC supports agile development in earlier versions. So I created an overview, which describes agile support from version 9.2 up to 11.0. It’s not meant to provide an in depth detailed description about features. Rather, it should provide orientation for existing and new customers what they can expect from different QC versions to support agile development. There are 3 horizonal layers. On the bottom I’ve listed “agile enabling features”. Having those in place experts are able to build “custom agile solutions” which I have described in the middle layer. The upper layer holds “ready made” agile solutions. Currently HP provides the “Advanced agile accelerator” here. Each QC version includes the features of previous versions. That’s why I decided to only list new features for a specific version. (Click on the picture to view an enlarged version). This entry was posted in agile, general, hp quality center and tagged agile, agile accelerator, hp quality center, roadmap on 20/10/2010 by Gerald Heller. On September 7, Raziel Tabib presented “New Features of HP Quality Center and Product Roadmap” in a Vivit Webcast. Raziel is a Sr. Product Manager in the HP ALM suite of products. In this blog I review the webinar from an agile perspective. The complete Webinar along with Q&A is available as archived session for Vivit members. Note, that basic Vivit membership is free. Raziel started the announcement with a big bang: The presentation content is no longer roadmap, but reality, “HP Quality Center 11 is available as of today”. In this release HP sets the focus on the application lifecycle management (ALM) message. They even place an ALM product on the pricelist, “ALM 11.0”. It represents a suite of products that helps customers to manage their products along the entire lifecycle, e.g., Requirements Management, Development Management, Quality Management, Performance Management and Project Dashboard. This supports the agile perspective insofar as it provides a holistic view on all development activities. One aspect of the holistic view is the integration into developer environments. QC 11 comes with an out-of-the-box integration into the eclipse IDE. Once a Sprint has started the developer can stay in his working environment – e.g. Eclipse IDE – and update user stories, tasks and defects. All changes will be reflected in HP QC. This integration provides a large potential to accept QC as an agile repository for the project. Overhead is minimized; no switching of tools (from developer perspective) once a Sprint has started. Backlog management with QC 11 will be much more intuitive than before. The key to usability is a new feature named “custom ordering” in the requirements management module. 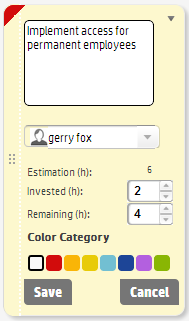 With this long-awaited functionality it is now possible to drag a user story exactly to the position which represents its priority in the backlog. Prior versions of QC needed to use custom attributes and workflow programming in order to achieve that functionality. A whole new set on reporting is available in Quality Center. From an agile perspective the possibility to integrate those reports into external web pages, like wiki-pages is the most interesting one. Now, teams can use their agile reporting environment of choice. QA managers can check-out their dashboards without the need to log into QC. 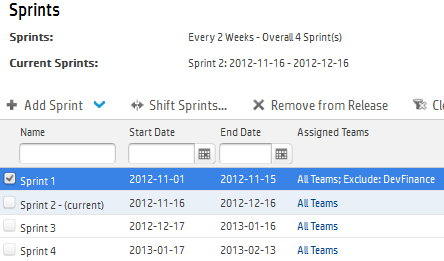 Manual testing is greatly enhanced by a new tool called “Sprinter” (any Scrum affiliation is purely coincidence J). Better screen usage, annotation possibilities, recording of test actions and parallel testing of multiple target systems summarize the new functionalities. Agile teams practicing “exploratory testing” will love that tool. Starting with HP QC 11 it is possible to have several client versions of QC on a single machine. While this isn’t an intrinsic agile feature it will contribute to a successful transition to agile development. Agile teams can explore the newest HP QC 11 version with all of its features for agile teams. Still they can work with a different HP QC version in operation. HP is taking the agile movement serious. Release after release they have added functionality to make life easier for agile teams. The only challenge for customers is that it is not that easy to see. Most of the features are just built-in enablers. With the exception of the agile accelerator experienced users are needed to turn these features into great agile solutions. This entry was posted in agile, ALM, hp quality center, integrations and tagged agile, ALM, hp quality center, testing on 28/09/2010 by Gerald Heller. This entry was posted in general and tagged agile, hp quality center on 01/09/2010 by Gerald Heller.